Lisa joined SQM in 2013 and has over 12 years experience in the real estate industry, actively working in the South Sydney commercial property marketplace. 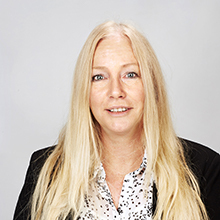 Unlike most property managers, Lisa also has prior experience in commercial leasing, so her insight and knowledge is a key benefit in finding viable property solutions for prospective tenants l as well as her ability to proactively seek the right tenants for any given property we manage. Lisa has developed strong relationships with our clients due to her focus on excellent customer service and being always eager to help and solve matters whenever needed. She is responsible for initiating work orders for property maintenance, property related payments and maintaining lease data. In her own time, Lisa enjoys spending time with her family, going to the gym, yoga, walking and the beach.